Over the past few days, EA Sports has been releasing ratings of the best players at various positions in NHL 18. Well, with the Top 10s now out of the way, the developers have decided to release a full list of the Top 50 players that will take the ice when NHL 18 launches in just a few short weeks. It should be no surprise that cover athlete Connor McDavid of the Edmonton Oilers leads the way with a 93 overall alongside Pittsburgh Penguins star Sidney Crosby. 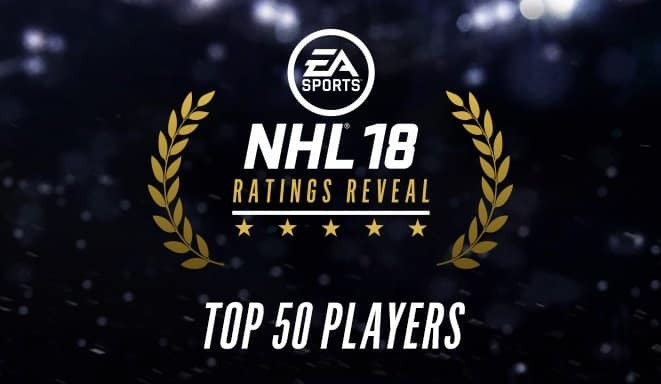 After the top two players, the first five is rounded out with Evgeni Malkin, Carey Price, and Alexander Ovechkin who all have ratings of 92 overall.